Paul Townend looked to have all bases covered. Klassical Dream had a good run at it under Ruby Walsh but he was about to be collared by his stablemate in the Chanelle Pharma Grade One Novice Hurdle. Aramon winged the last under Townend and the 5/2 shot was coming for Ruby and his mount. He was travelling the better, he had more in the tank and he looked to have this race sewn up. 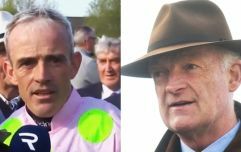 But this is Ruby Walsh we're dealing with and when the master Kildare handler is on board, nothing is impossible. Still though, Klassical Dream in the red silks with the yellow hoops was caught, was joined and was then headed and even with Ruby in the saddle, this looked a beaten docket. But then Ruby did what Ruby does for a living. He got to work, kept grinding away and suddenly, this horse had a chance again. He galloped on gamely and got back on terms. This was a contest now. 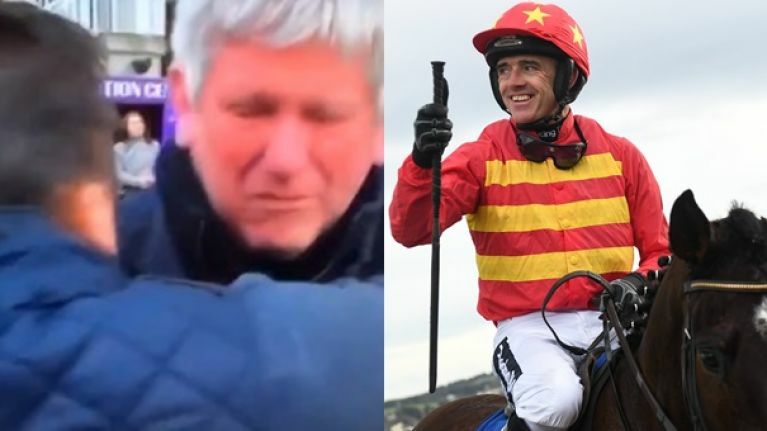 The two sprightly thoroughbreds from the Closutton yard in Carlow traded the lead with each stride and with each bobbed head but when it came down to the final, defining stride, of course it was Ruby who'd measured it to glorious perfection. His horse dipped his head for the line like a sprinter and took this Grade One by a short head. A perfectly timed ride, that's what makes Ruby the best. In the parade ring, emotions were running high. The connections of the Ms Joanne Coleman owned horse suffered the loss of "the greatest friend a man could have" recently and this win meant a lot to them.